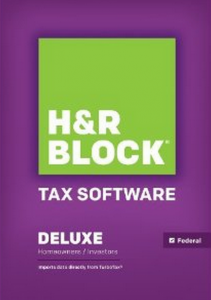 51% Off Select H&R Block Tax Software on Amazon! 51% Off Select H&R Block Tax Software on Amazon – Prices Start at Just $16.99! Head over to Amazon where right now you can score 51% Off Select H&R Block Tax Software starting at just $16.99. Some are physical boxes that will be mailed to your home while others are downloads. Coupons: Pampers, Cheerios, and More!